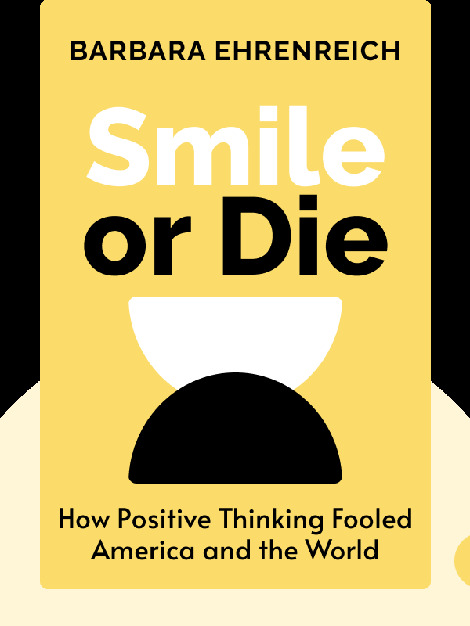 Smile or Die (2009) explores the impact of positive thinking on mainstream American culture. These blinks show how Americans have convinced themselves that they alone are in control of their happiness, buying into a mass delusion which in the end only does them harm. 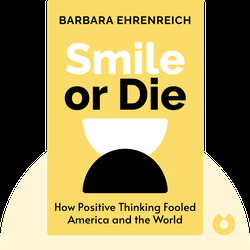 Barbara Ehrenreich is an award-winning American author and journalist who has written over 20 books. She wrote Smile or Die following her diagnosis of breast cancer, when she discovered that the positive thinking rooted in cancer care can stifle the expression of a person’s true emotions.